What’s the Deal with Flipping Mattresses? Our customers ask us about flipping mattresses all the time. Some questions we get often include: Can you flip all mattresses? Should you flip all mattresses? Should you flip pillow top mattresses? When is best to flip a mattress? What if you aren’t able to physically lift the mattress? Is rotating mattresses an option? In order to get a firm response, we talked to VP of Sales at Jamison Bedding, Dennis Straily. Since we’ve just added four new Jamison mattresses to our already-wide selection at American Freight, we figured he would be the perfect person to talk to. Here’s what we learned. “People are spending more time in their beds doing work now,” Straily explained. “Catching up on emails, and managing their social media. With Jamison offering hotel-quality mattresses, that’s where we first noticed this trend of guests spending more time on their mattresses, in hotels. We’ve created a reinforced edge that is 26% more durable than traditional foam-encased mattresses in our Gold and Platinum Jamison models. This is a feature we developed for one of the world’s leading hotels, and it is now available in the Gold and Platinum models for anyone to purchase. Because hotels are more likely to have constant bed use, they have different needs than residential users. Dennis went on to explain that Jamison’s four new mattresses at American Freight offer features and durability that they have provided the hospitality industry for over 50 years! These new mattresses can basically be split into two categories: flip, or not to flip, and it’s a personal choice. Read on to learn more about flipping mattresses, rotating mattresses, and which choice is best for you. Can I flip it? Yes, you can! If your mattress has two sides of plush, you can flip your mattress. In the new line of Jamison Bedding mattresses, this includes the Jamison Elite Plus and the Jamison Presidential Mattress. Can I flip it? Nope. But you can rotate it! 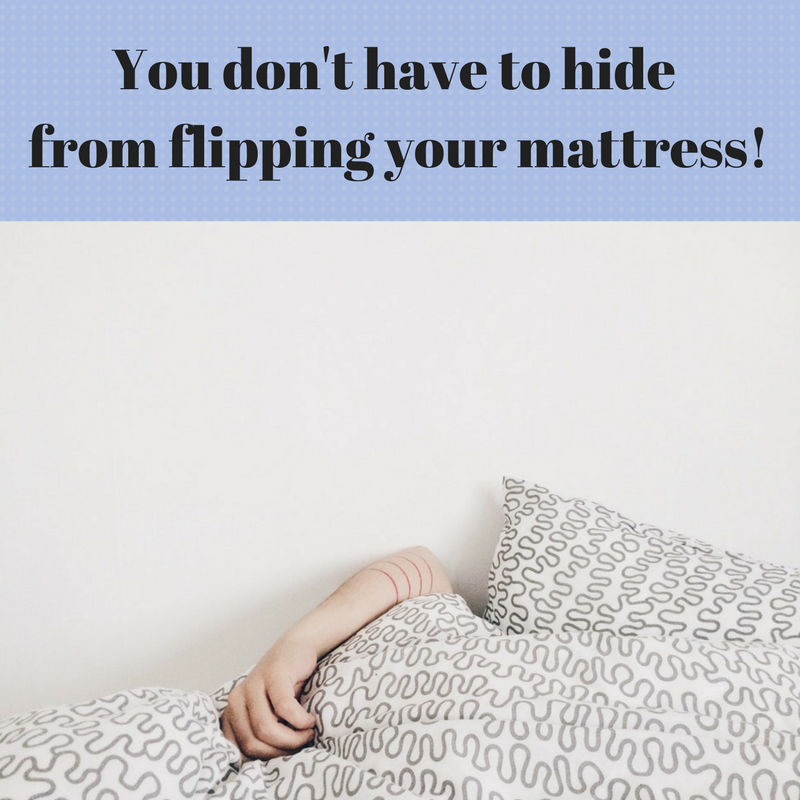 If your mattress is non-flip with a hard bottom on top of your box spring, you should not flip your mattress. But, instead, you can rotate it. Thanks to Dennis Straily and Jamison Bedding for the insights on flipping mattresses vs rotating mattresses. We hope you get the best bang for your buck when you shop Jamison and American Freight! Come see all four new Jamison Bedding mattresses in your local store today and save huge! Check out all our current promotions on our website. Sign up to receive a weekly blog email here with other tips, tricks, and trends for your home that you can actually use! Want to know what goes with what? Check out these HOT 2018 bedroom design trends! Latex bedding was not addressed with regard to flipping. We have a split king latex Napa from Jamison. What about flipping these mattresses? Hi, Edie! Thank you for your comment. Contact your local store for more information about your mattress.